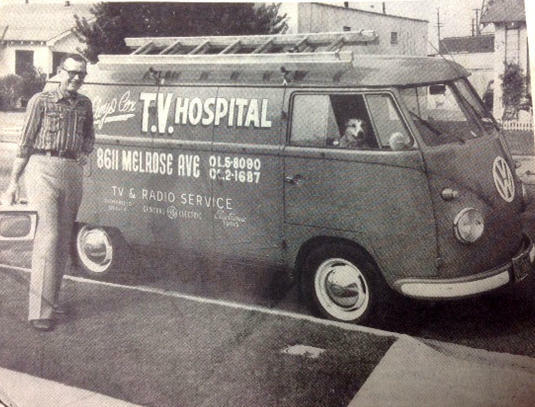 TV and radio repairman Floyd Cox in front of his VW service van, pictured with his canine assistant in the passenger seat. With the advent of KDKA, the first licensed station broadcasting to the public, the radio industry enjoyed a steady and at times phenomenal growth. In past articles I have featured inventors and companies that were quite successful financially in bringing the technology to consumers. Although the Great Depression put a damper on the industry, and weeded out a lot of the smaller or weaker players, it could not stop the growing demand for consumer radio sets. There were others who would benefit from radio’s seemingly unstoppable boom. Retailers, for example. Almost every department store, appliance store, even hardware and auto parts shop sold radios. Soon, shops devoted almost exclusively to radios began to spring up in many communities. These often included a service shop, or grew out of one, which asks the question: with all those radios out there, who would fix them when they malfunctioned? In the early days, consumers were often on their own when it came to this. The radios were relatively simple and the largest number of problems were the result of a failed tube. The tubes were plugged into sockets and were as easy to change as a light bulb, if the user could figure out which one had gone bad. Most often, the radio’s instruction book would help with this, suggesting which tube might have failed based on observed symptoms. Self-service tube replacement would remain popular for both radios and TVs up to the demise of the devices in the 1960s. Every radio shop, many retailers, and most often, the corner drugstore, offered a self-serve tube tester whereby the consumer could positively identify the culprit that rendered their set useless. Selling replacement tubes brought a tidy sum to the retailer with such a tube tester. The new tubes were often stored in the base of the cabinet below the tester. But what to do if a tube was not at fault? Most of the name-brand radios from larger companies came with some form of warranty, but this often involved the retailer boxing it up and sending it back to the factory. Some would offer a loaner set. If you bought the radio via mail order, it would be up to you to send it back. Larger radio stores would become “authorized service centers” for the brands they sold. What could the consumer do after the warranty was up? Large console radios were popular and it was often impractical for the owner to haul them to a repair shop. 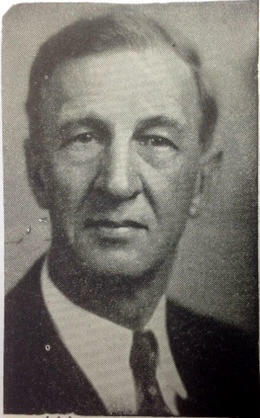 Engineer and teacher James E. Smith, founder and president of the National Radio Institute. This gave birth to a whole new trade, the radio, and then radio/TV repairman. Originally, with few restrictions, anyone who was an advanced hobbyist, a good tinkerer, or often an existing appliance repairman could hang out a shingle and repair radios. Due to the simplicity of early 1920s radios, most were reasonably successful at doing this. For reasons that elude me, many traditional trade schools initially failed to pick up on the need and opportunities becoming available in this field. As states began to require licensing or certification for those in the trade, a relatively new phenomenon, the correspondence school, would step in to fill the void. Several of these were quite good and as a result became very successful. Most offered a combination of study material and hands on training, followed by a mail in test. Most included a radio, in kit form, that the student would build, with each step explaining the theory and operation of each component. Many would include a set of simulated bad components that the student could insert into the set and learn from observing the results. They would also learn how bad components would appear to test instruments. The courses often included a set of basic but reasonable quality test instruments as well as a pictorial guide and plans on how to set up a workbench. Many went further to include basic bookkeeping practices and other aspects of opening and running a small business. 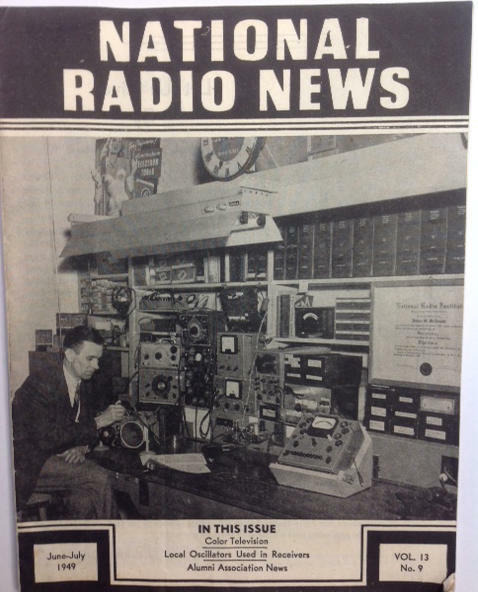 Cover of the June-July 1949 National Radio News, the alumni newsletter of the NRI. This shows the radio shop of NRI alum William McDonald. Each issue would contain an article or two about new technology, in this case the competing proposals for a color TV system. Above the bench is an extensive set of NRI service manuals. One such school, The National Radio Institute (NRI), offered its alumni an ongoing publication of radio service manuals. The NRI service manuals contained the schematics, alignment instructions, and other notes that the serviceman would need to fix a radio. They are still considered to be the best source of service information by collectors today, and fetch a good price on online auction sites. The school also offered refresher courses to keep up with new technology. The NRI was founded in Washington, D.C., 1914 by electrical engineer and trade school teacher James Ernest Smith. It was originally a classroom institute called “The National Radio School.” With consumer radio still six years away, the original curriculum targeted training to be a shipboard or land-based radio operator working for companies such as Marconi Wireless. Smith recognized the need to offer training to those who could not attend the brick and mortar facility, such as those in rural America. Almost immediately he began developing the concept of the correspondence school. By 1917, the school had 117 classroom students. By 1920, it had outgrown its original building and moved to Pennsylvania Avenue, changing its name to the National Radio Institute. Classroom instruction was discontinued in 1923 to focus on the correspondence model of instruction. By this time, curriculum was weighted towards consumer radio technology. NRI again outgrew its space and move to a larger building in 1928. By 1929, it had published over 250 textbooks, a trade magazine and had an average annual enrollment of 18,000 correspondence students.  The NRI and other radio correspondence schools experienced a boom in enrollment following WWII, when veteran’s education benefits would pay for the courses. By the mid-1950s, annual enrollment approached 40,000 students. The school existed until 2002. Volume 1 of the NRI service manuals. The book, more than four inches thick, contains over 1,000 schematics and alignment instructions for radios made prior to WWII. It was compiled for NRI by the John F. Rider Company, a publisher of technical materials. Delving further into the NRI history would be outside the scope of this article, but I did find an archive of most of the NRI alumni news publications, where viewers can click through any issue page by page. If you do an online search, you'll find a detailed history and some interesting reading. Radio and TV repairman became a fixture in every community. Most outfitted a truck or van with a mobile workbench or at least a stock of test equipment and parts for making house calls. With this approach, most could fix your set on location, with only the most perplexing problem requiring the set to be brought back to the shop. The trade reached its peak in the 1950s. TVs were new technology. Early TV sets could have as many as 30 tubes and had a rather high and frequent failure rate. NRI alum Floyd Cox shows off his 1957 VW TV-Radio service van along with his canine assistant, on the cover of the March 1958 NRI alumni publication. Although many consumers would still take a gander at testing the tubes before calling the repairman, the technology was too overwhelming for most. My interest in radio and electronics was the result of the mentoring of one such repairman, a friend of my father’s. He took the time to explain what he was doing while fixing the family TV, and to answer all of my many questions. He gave me a few of his older, obsolete, but still usable test instruments. He also gave me a stack of NRI course manuals. By the time I was 12-years-old, I was fixing the set myself, as well as those of my friends and relatives. By the 1970s, with the increasing reliability of solid state electronics, and declining prices for TVs and radios, consumers began to regard the devices as disposable. Most of the original generation of repairmen were reaching retirement age and few were following in their footsteps. Console color TVs of the 1970s and 1980s and then the big projection TVs of the early ‘90s provided a viable income for the few remaining stragglers. By the time the personal computer became popular, the radio and TV repairman quietly faded into history. Collector’s tip: Original NRI course instruction materials, service manuals, and monthly alumni publications have become very collectible. Entire courses have been scanned and are available on CD at reasonable prices, check eBay. They serve as an excellent resource for collectors to learn how to service and restore vintage electronics. Original NRI test equipment such as tube testers, oscilloscopes, meters, etc. can also be found, but are becoming somewhat pricey.